Your IT job search just got easier. 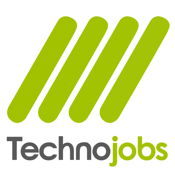 Technojobs is one of the leading UK IT jobsites. There are thousands of IT jobs advertised regularly direct from all the top brands and recruitment agencies. Technojobs provides an extensive choice of jobs and an easy to use application process. Don’t miss out on your ideal job and keep up to date with the IT job market on your smartphone. •Simple and easy to use – job search on the go •Searches remembered to make it quick, simple and timely •Notifications from new matching relevant jobs – that fit your criteria •Search all permanent and contractor vacancies •Thousands of UK jobs and selected IT jobs from Europe and overseas •You can apply via the app or email the job to yourself or a friend •Includes all sectors within IT such as Programming, IT Support, Web development, Web Design •Plus extensive Project Management and Analyst related jobs •Keep up to date with the Technojobs Blog and all the latest useful guides If you want an App that does the job searching for you and tells you when relevant jobs are available then download this app today. And with an average of over 25,000 IT jobs advertised monthly Technojobs provides the ideal platform to ensure that you don’t miss out on the right job for you.